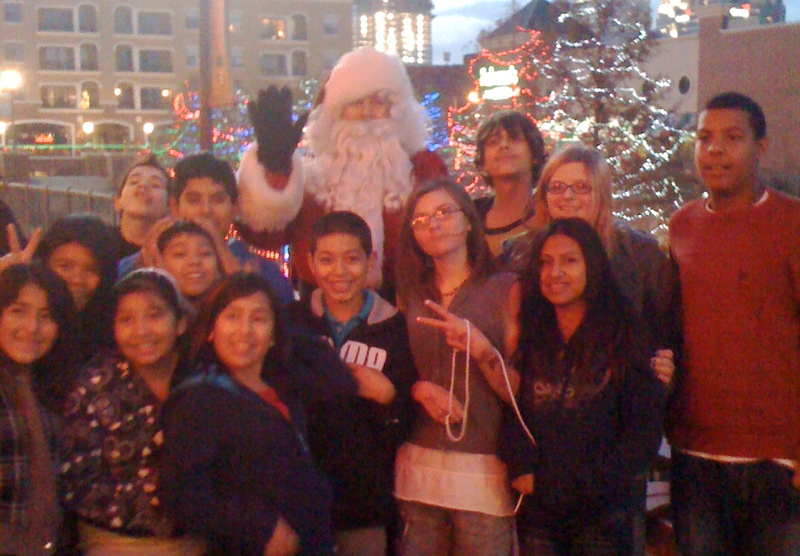 Last night, the Rock Island youth swarmed Bricktown. As a reward for plugging in to the many opportunities during 1st Semester, 20 students were chosen to take a trip as a Christmas present. Even though the kids are cream of the crop, we had nervous moments near the canal including muddy bare feet. 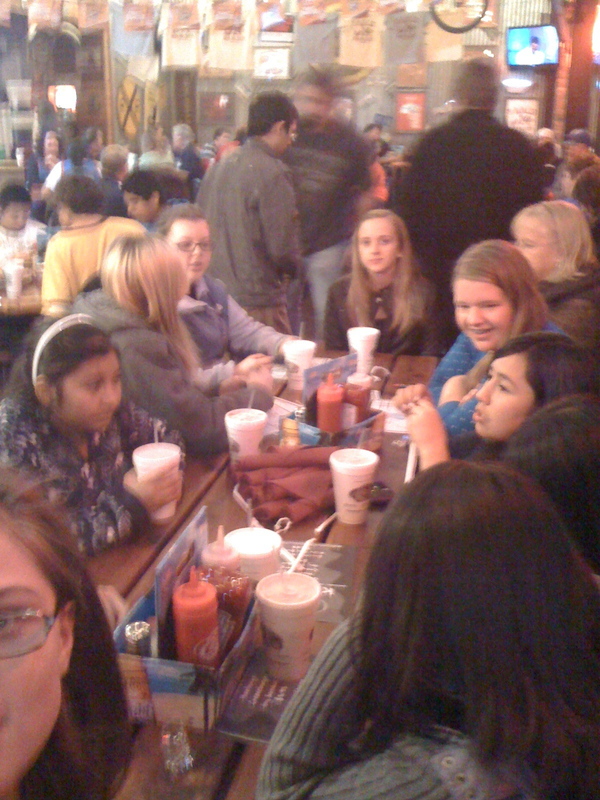 At Earl’s, we had to divide up into 4 tables due to the Thunder game crowd. This made Luke and I tense up a bit. Good news. All the wait staff complemented the kids behavior. We then went on to watch the new Narnia movie. Minus endless trips to the concession stand and group bathroom, we saw most of the movie! A big thanks to Carley and her students from Church of the Servant who not only joined us, but helped fund the evening. Also, a special thanks to the Walker group from Life Church for their amazing sponsorship as well.